We all know about fast food, but what about its antithesis, “slow food”? It’s not about how fast you eat—rather it’s about the manner in which you prepare and eat your food. The slow food movement encourages eating locally sourced food in order to promote food culture and heritage. The pioneer of this movement is a woman named Alice Waters, who brought this little-known slow food revolution to America in the 1970's. After studying French culture at Berkeley, Alice Waters followed her interests to Paris. While there, she she fell in love with farm-to-plate cuisine. When she returned to America, she vowed to take her love for organic, unprocessed, local cuisine and market it to the masses. She opened her restaurant, Chez Panisse, with no previous restaurant experience and a novice staff. But, what she did possess was a tenacity that rivaled the most accomplished restauranteur. Her unrelenting passion for locally grown food and seasonal ingredients made her a rising star in the slow food revolution but her success didn’t come without difficulty. In its early years, her restaurant was pulled back from the brink of bankruptcy by generous loans from friends. Eventually, Chez Panisse started to turn a profit. It wasn’t long before Waters could turn her attention to other aspects of food activism. Alice Waters and the slow food movement quickly spun into various community programs, like her most famous one: The Edible Schoolyard Project. Waters planted a garden at a local middle school and later installed a cooking classroom that soon expanded into other cities across the country. The program teaches students about responsible agriculture with a curriculum that prioritizes access to healthy food as a vital component of a child’s education. 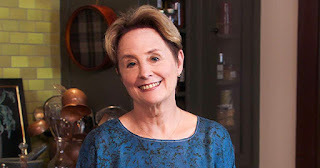 Alice Waters is celebrated, and rightly so, as an outstanding chef and a champion of a new movement that brings people into contact with real, delicious food. The James Beard Foundation declared her restaurant outstanding in 1992, which was a huge achievement after those dubious initial years. The foundation also presented her the lifetime achievement award. Over her career, which includes numerous prestigious awards and achievements, Alice Water’s has brought slow food into the mainstream. Alice waters and the slow food movement have inspired many people to rethink their values when it comes to what they eat. Waters believes that “you digest the values that come with food.” This insight has shaped the way that many people relate to their food. Eating slowly and consciously is a very powerful thing, and many of us have Alice Waters to thank for opening our minds to such an idea.